Open to advanced pre-college string players. SCO is the highest level string orchestra for the Prep program. Students placed in SCO generally play with a high level of musicality and technical mastery, and are comfortable playing complete concertos. 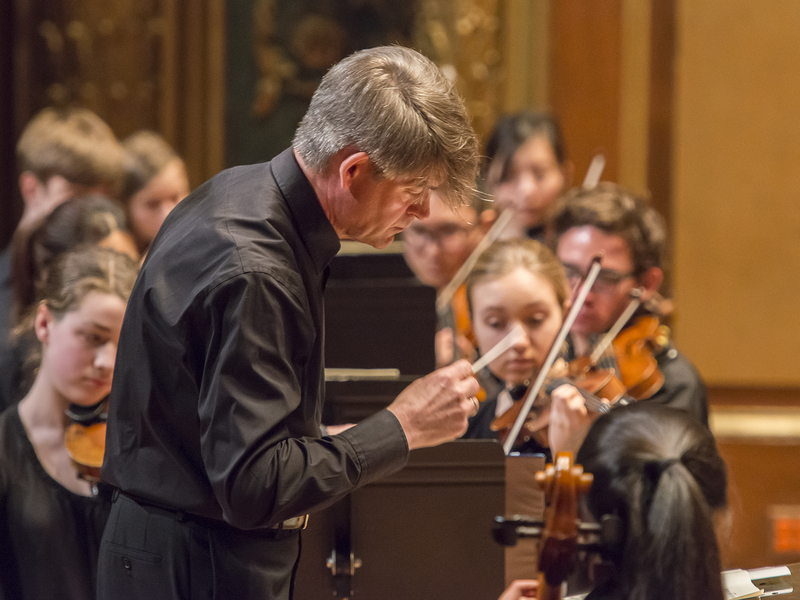 While orchestra assignments are made by level, not age, most members of SCO are in grades 9-12. SCO participates in a system of rotated seating and members are not required to take a seating audition in the fall. New England Conservatory Prep's String Chamber Orchestra, led by Peter Jarvis performs Debussy's Danses for Harp featuring soloist Clara Wang. Attendance is required at all rehearsals, dress rehearsals, and performance. The full attendance policy may be reviewed here.